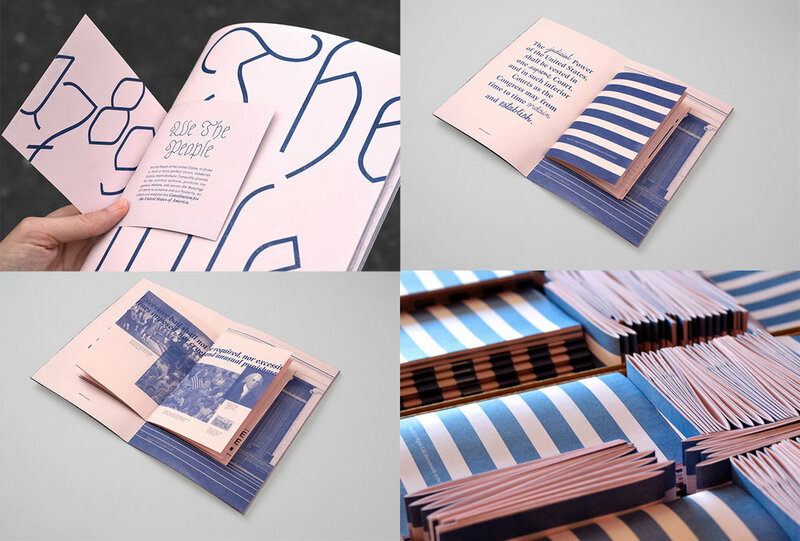 By applying consumer branding and design principles to the Constitution—a document that had never really been branded before—we felt we could elevate the important messages contained in the document and spark an ongoing, multi-faceted movement around its importance. We decided to do so in 2017 mostly due to a contentious and divisive political climate that has made it more important than ever before to understand the document itself, how we interpret it and the rights it grants us. We started by redesigning the Constuttion to make it more visually exciting and easy to read. (I'll send you a copy if you like.) Then, through an awareness campaign, several partnerships and some crowdfunding help, we set out to get as many copies as possible into the hands of the nation's students. We call the whole thing the FOR THE PEOPLE PROJECT. Here's the website and ThoughtMatter's case study. At this point, I can't even come close to quantifying how many words I've written about the Constitution. Our branding and visual system first came to life in a redesigned copy of the Constitution that made the document more interesting and digestible than standard versions. We used an original, unaltered transcript of the Constitution, Bill of Rights and amendments 11-27 from the National Archives, without any interpretation or commentary. Our version of the 230-year-old document puts a twist on the classic red and blue color palette, using Pop-Tone Pink Lemonade paper from French Paper Co. and “Federal Blue” ink. The 7” x 10” book contains three sections with the Bill of Rights and amendments 11-27 placed in the middle. To reach and include as many people as possible, we launched a Kickstarter campaign to fund printing and shipping costs to send our Constitutions to schools across the country. We ultimately raised more than $15,000. When a backer chose a reward tier that included a copy of the book, we pledged to print and send an additional copy to a school on their behalf. Every day, we posted fresh content to our channels before, during and after the Kickstarter campaign, keeping momentum going and updating followers on how the project was progressing. A video hosted by comedian and HQ Trivia host Scott Rogowsky helped illustrate the disconnect between many citizens and the Constitution. This was the warmest shoot day of my life. I (hesitantly) starred in a mock press conference video gave a brief explanation of the project and what we hoped to achieve. I wrote every single word of the FOR THE PEOPLE PROJECT website.